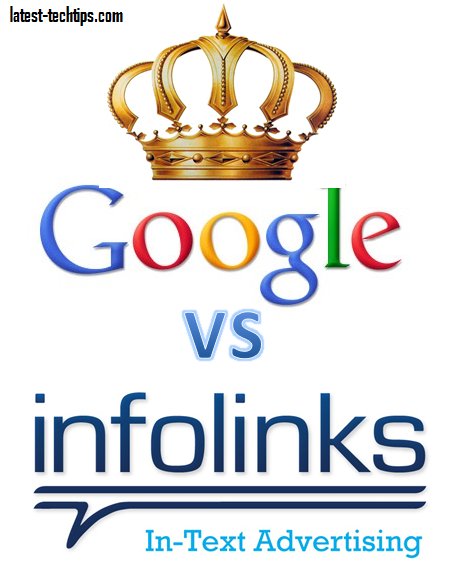 After using infolinks for over 2 weeks I can fairly write a review on the infolinks Ad Networks and also compare it with Adsense. Takes very less time to integrate. Very easy Payment details configuration (even for Indian Bloggers). Good ability to configure Ads displayed. They claim you are paid 70% of the revenue. It may affect your Adsense CTR as readers are diverted to more attractive looking infolinks. Can be annoying to many users as the Ads populate if the mouse is even hovered over content. May display highly irrelevant Ads ending up frustrating your readers and you may loose loyal readers. Minimum threshold is $50 and after that takes 45 days for money transfer. Earnings reports are updated only once a day. Pays the highest in Market. Famous worldwide and the most famous Ads earning and money making methods available online. Displays most relevant Ads for your content which results in more CTR. Earnings reports are updated every second. Minimum threshold is $100 and after that takes 30 days for money transfer. No direct Money transfer in India only by checks. After removing infolinks I found that it has little to do with performance of Adsense i.e. CTR. It can run with Adsense, only thing is it pays very less.